Returning toThe Old Ways: I am NOT a "Weed"! I am NOT a "Weed"! Mullein is found roadside, in yards and woodlands all over the USA. The hole plant is covered with fine, downy hairs. 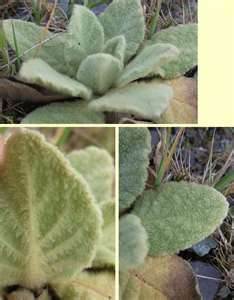 This gives Mullein its features of soft, velvety texture and appearance, and help the plant retain moisture. Mullein is well-known as a medicinal herb which has been used for centuries. The Greek physician's benefit Mullein for "old coughs." Mullein also contains coumarin and rote-none, a natural insecticide and fish poison, which is supposed to be non-toxic to mammals. It is beneficial to tones the mucous membranes, reducing inflammation and stimulating fluid production, thus facilitating expectoration. Mullein has anti-inflammatory and demulcent properties which give it a useful role in tracheal and associated conditions. Due to its relaxing feature it act as expectorant for dry, chronic, hard coughs such as in whooping cough,asthma ,bronchitis & tuberculosis. Cure's eczema of the ear . Mullein has powerful narcotic properties, but is nontoxic and safe to ingest in large quantities. Can drink it all day. Mullein is use as a treatment for bladder or urinary tract irritations, including bloody urine. It is use to covers and protects scraped tissues, Softens and soothes irritated skin, Shrinks tissues, prevents secretion of fluids.It relieve from ease coughs ,sore throats, Soothe minor abrasions and hemorrhoid pain. Mullein is generally safe to use but there are rare reports of skin irritation. If following side effects occurs then consult to your doctor. Pour 1 cup of boiling water over 1 heaping tablespoon of Mullein flowers. Let steep 10 minutes, strain, and sweeten with honey if desired. 1/2 - 1 oz per day. To help combat cough and reduce throat irritation take 1 - 2 table spoons oz every 2 - 4 h. To help relieve night cough take 1 - 2 fl oz before sleep. Contain 24 -26 % grain alcohol by volume. Squeeze several drops of room-temperature mullein oil into the ear canal, so long as you are sure that the eardrum isn't punctured. it only relieves the symptoms not to heal an ear infection. Smoking leaves is a treatment for asthma and bronchial problems and is an expectorant. Mullein also contains Steroids which hinders pain and bleeding in wounds. According to another old authority, Alexander Trallianus, the ashes of the plant made into a soap will restore hair which has become Grey to its original color. The seeds are said to intoxicate fish when thrown into the water, and are used by poachers for that purpose, being slightly narcotic. A decoction of its roots was held to be an alleviation for toothache, and also good for cramps and convulsions, and an early morning drank of the distilled water of the flowers to be good for gout. Mullein juice and powder made from the dried roots rubbed on rough warts was said to quickly remove them, though it was not recommended as equally effective for smooth warts. A poultice made of the seeds and leaves, boiled in hot wine, was also considered an excellent means to 'draw forth speedily thorns or splinters gotten into the flesh.' We also hear of the woolly leaves being worn in the stockings to promote circulation and keep the feet warm. For use magickially pick especially the leaves of the plant which have not yet borne flowers, and gathered when the sun is in Virgo and the moon in Aries. a bit about me and what I plan for this blog! And on to my mother.